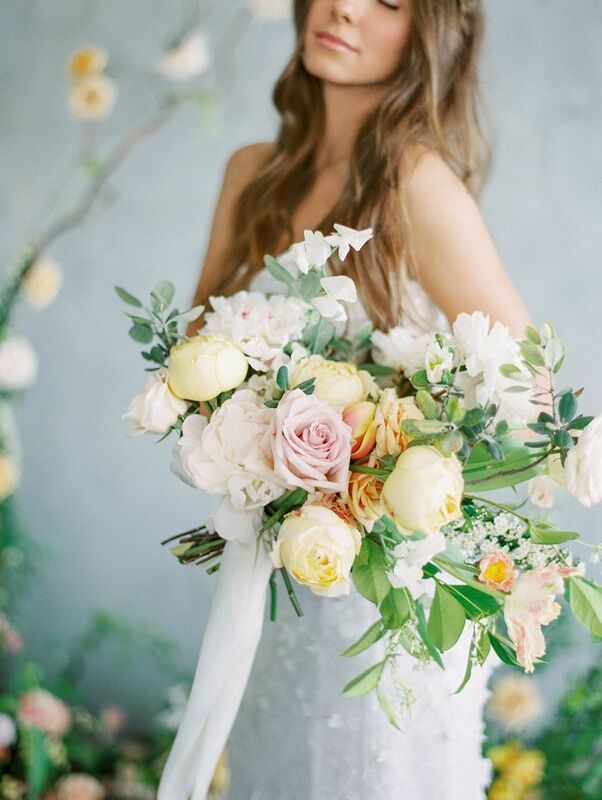 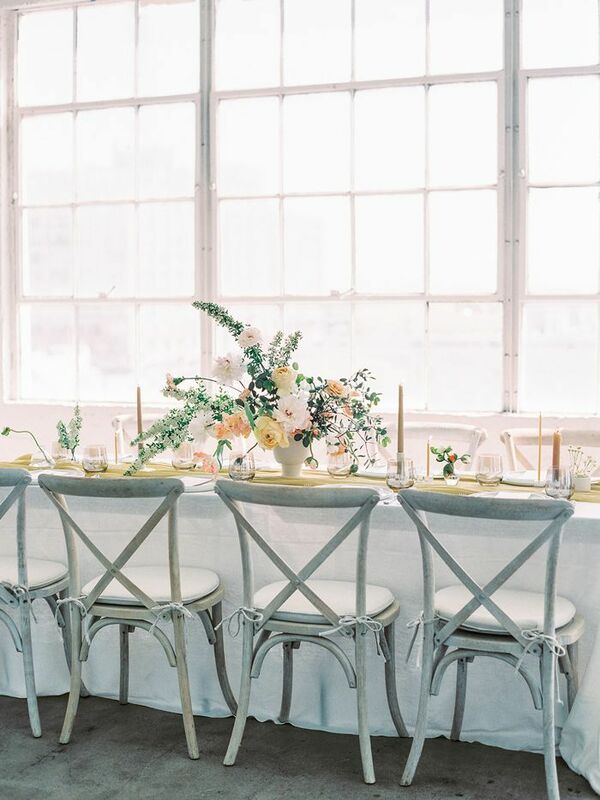 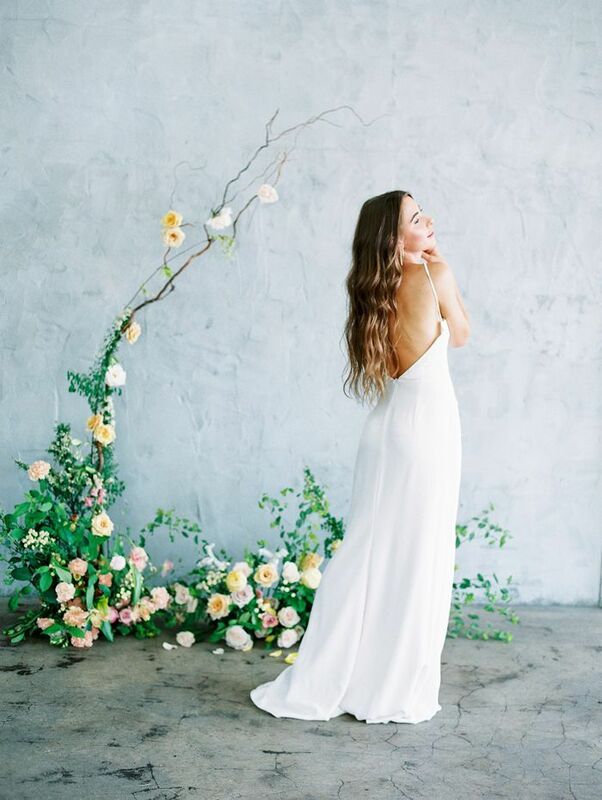 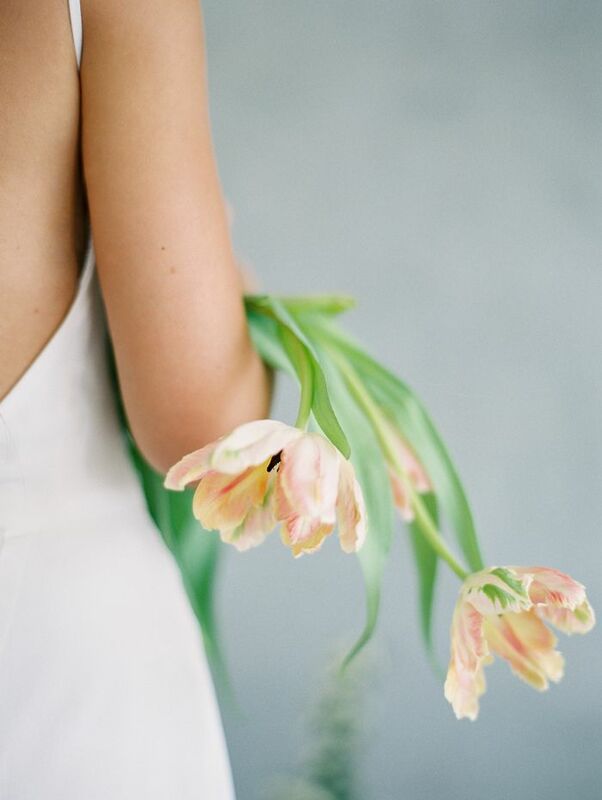 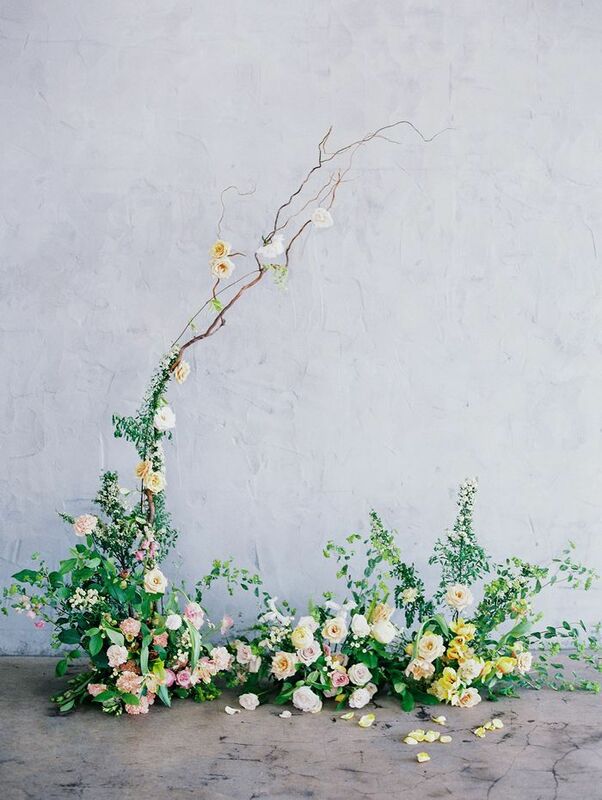 “A springtime inspired bridal shoot was set out to portray a freshly minimalist approach to wedding design. 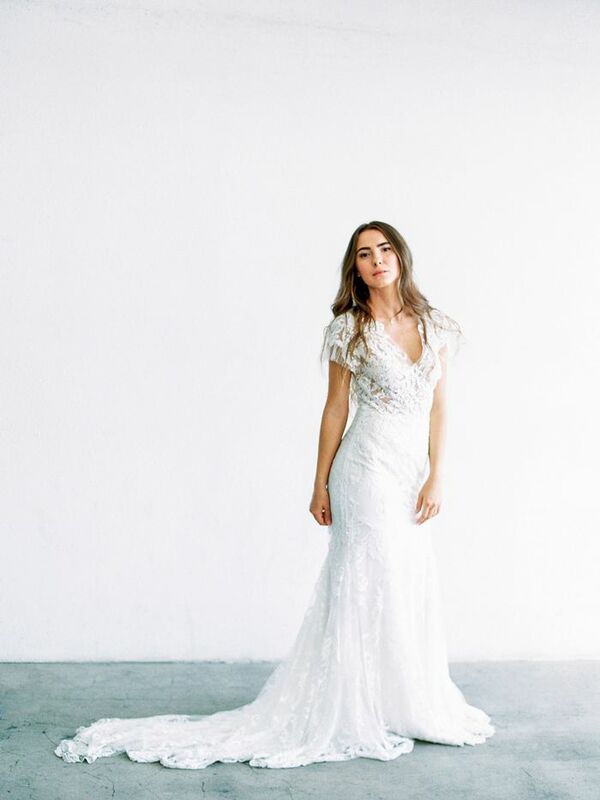 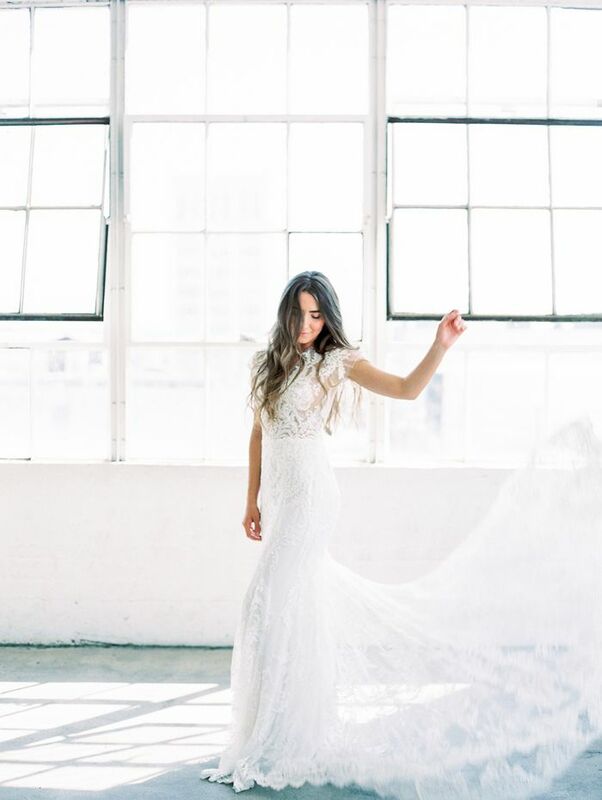 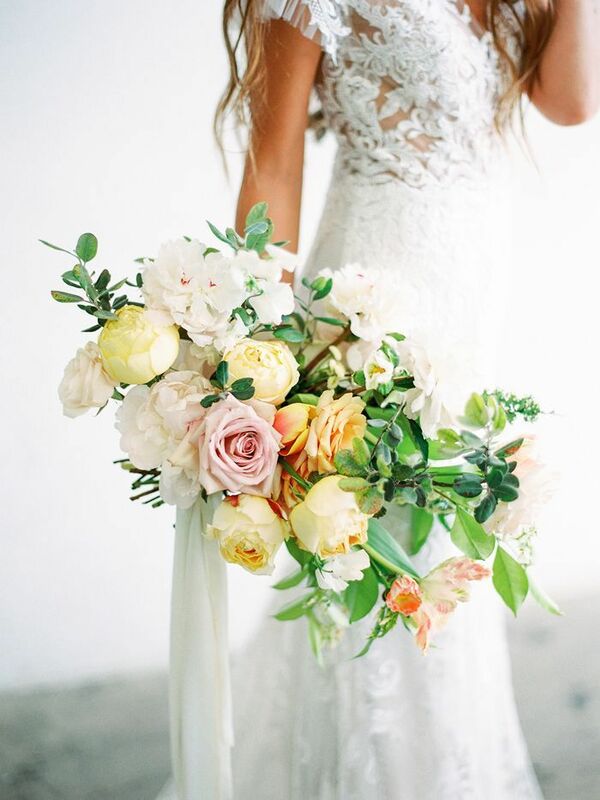 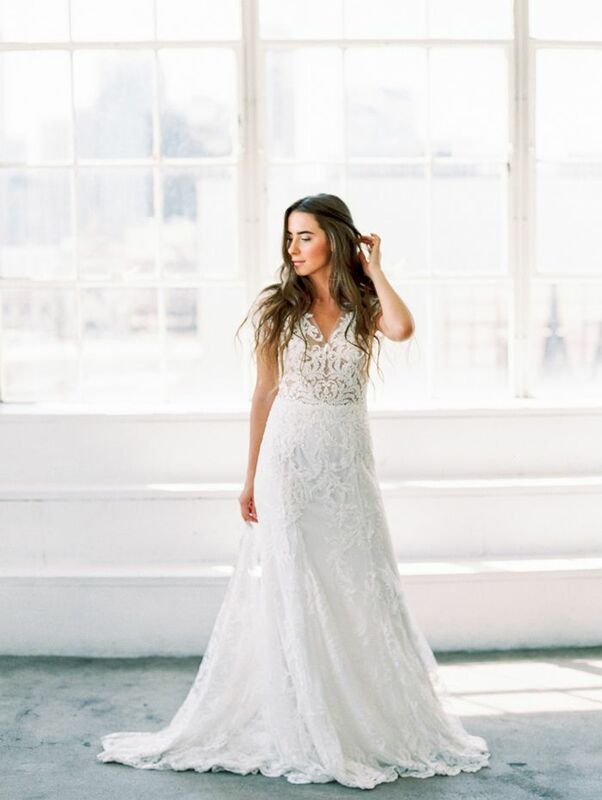 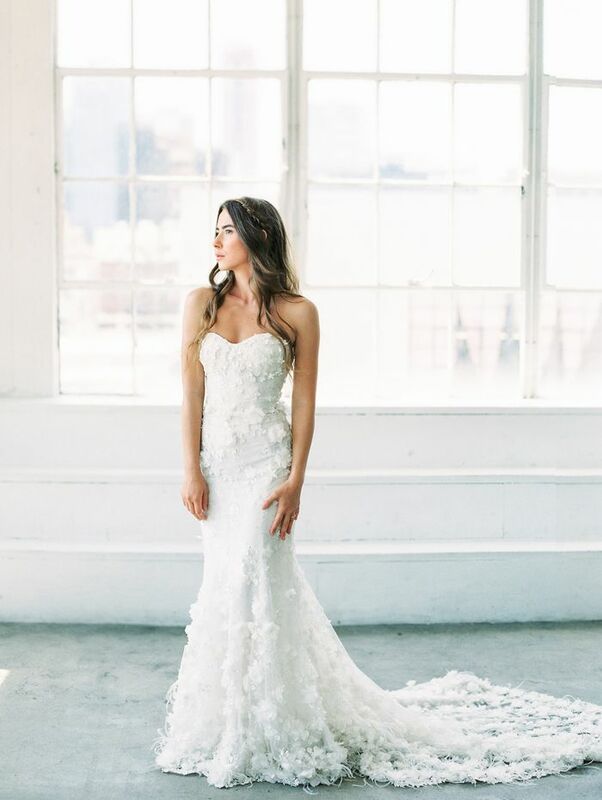 Nina Moore mixed timeless and modern with lace and floral-accented gowns, complemented by a fresh pop of color through soft textured and wildly placed florals in a bright and simplistic background full of natural light. 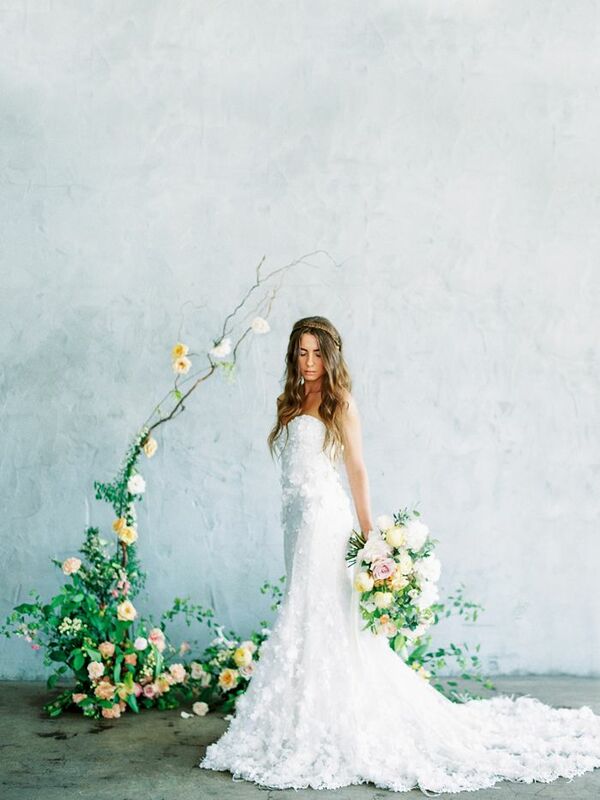 All elements were captured by the talented destination film photographer Ashley Ludaescher. 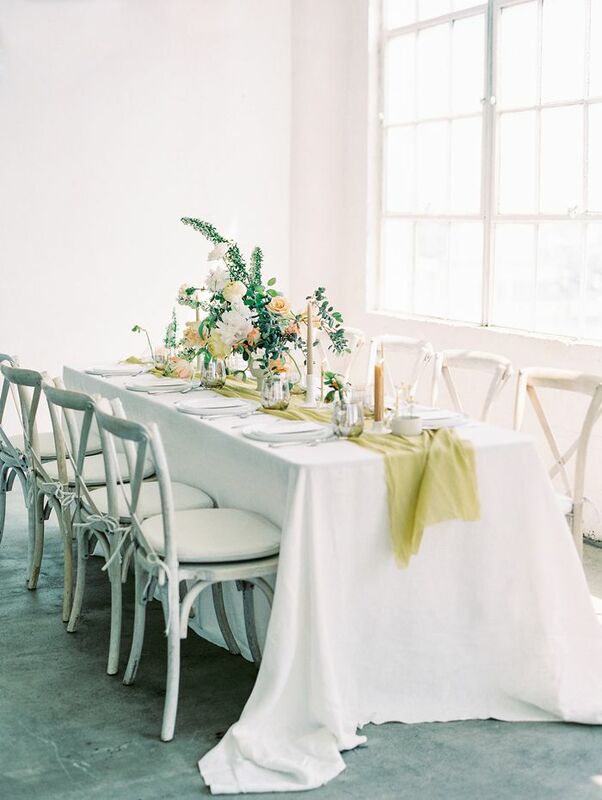 The table setting consisted of white ceramic contemporary plates, elegant silver flatware, and smoky glassware to add contrast to the lighter tones. 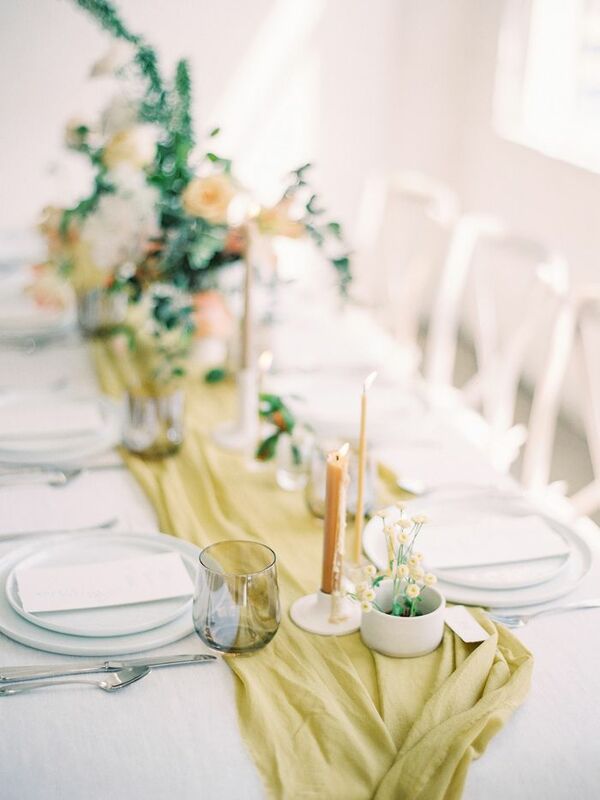 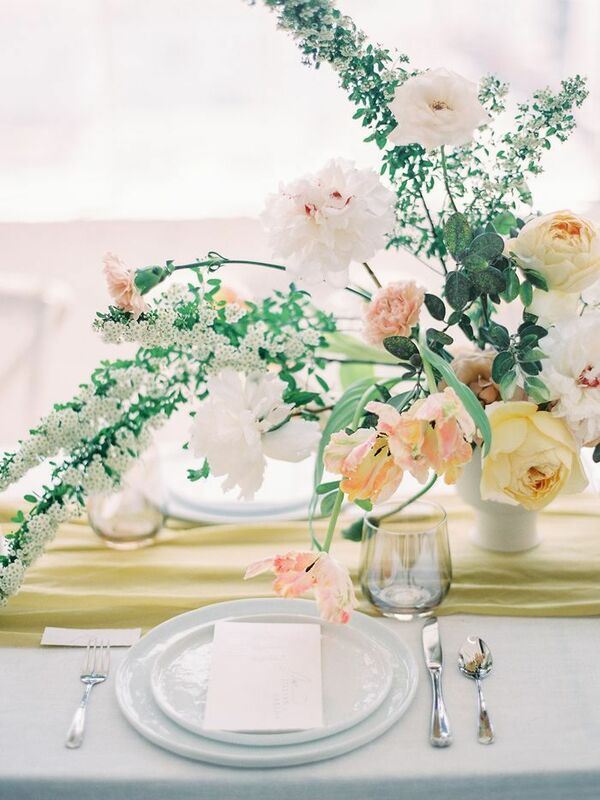 Pavan Floral created organic arrangements in white ceramic and glass vases paired with a vibrant table runner. 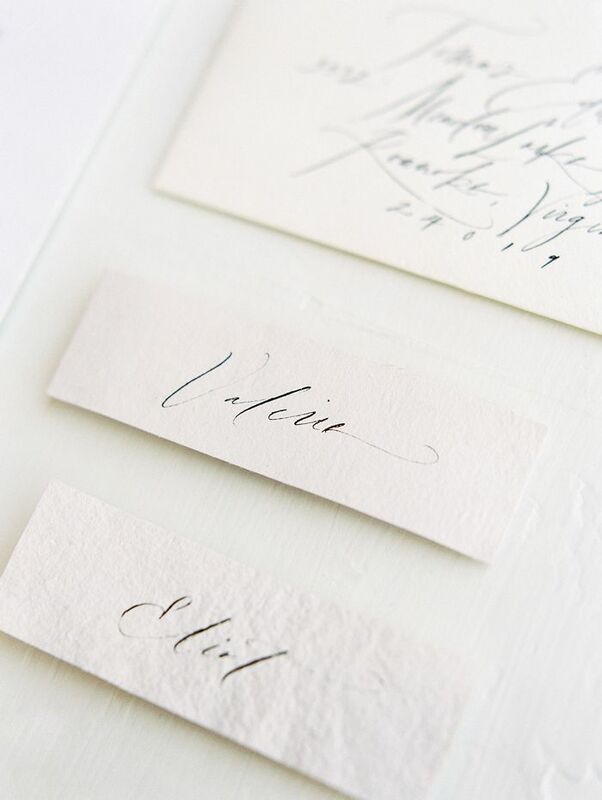 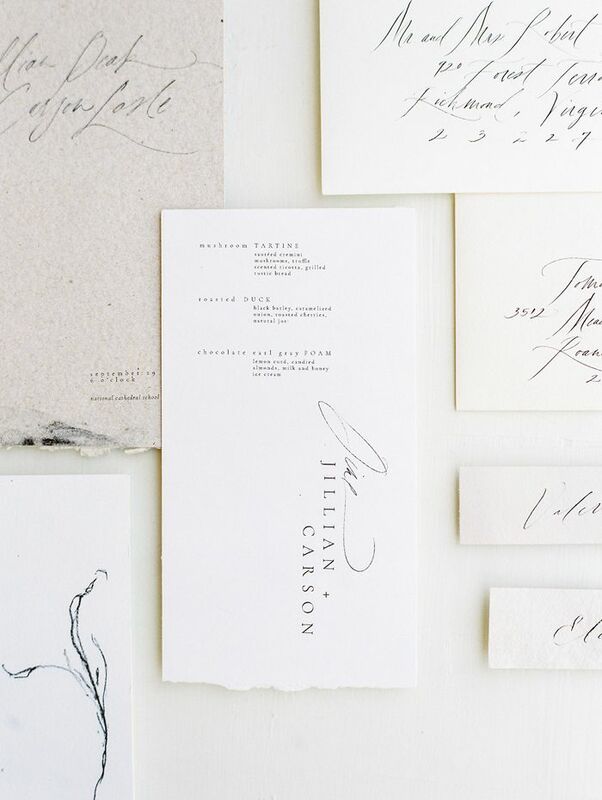 The stationery designed by Julie Ha Calligraphy paired perfectly with the mix of modern and soft textures, by combining free-flowing script with a structured font.